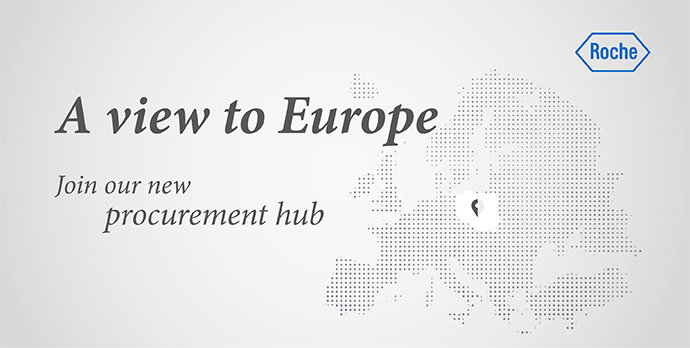 As the Sourcing Manager for Human Capital, you are part of Global Procurement in the Region Europe organization. You will be providing day-to-day procurement sourcing activities and business-led buying activities ensuring maximum possible Global Procurement impact. You will need a deep knowledge of eSourcing tools and the overall sourcing process and methodology, such as documenting requirements, conducting analysis and negotiations, and communicating with stakeholders and suppliers. Global Procurement (GP) is a key function that delivers value to Roche by leveraging market knowledge, subject matter expertise and business insights in the procurement of goods and services and the management of Roche’s third party spend. Through collaboration with our external suppliers and internal business partners, GP helps bring innovative tests and medicines to patients. Our team represents Global Procurement to our regional stakeholders and is a key point of contact for employees to support their requirements for goods and services to sustain our business and operations. As a key link between stakeholders and the wider procurement organization, we ensure regional input and needs are considered as Global Procurement proactively develops strategies and solutions for our stakeholders’ current and future needs. Perform operational sourcing activities by executing operational sourcing requests within the region ensuring a focus on efficiency and the quality of customer service. Understand end user requirements and leverage the applicable category buying guides and sourcing knowledge to determine the best method for driving value in meeting the requirement. Support the creation and review of relevant purchasing documents and communicate the status, progress, and outcomes of sourcing activities. Responsible for maintaining strong information flows back to the global Category team for opportunities to aggregate demand and generate additional leverage. Application of the sourcing process (RfIs, RfQs, RfPs) for the delivery of operational sourcing activity, including the application of eSourcing tools. Support the implementation of new processes, policies, and technologies. Collaborate with the requisition to pay (R2P) Procurement team to ensure that the requisitioning component of the procurement process is delivered. Execute escalated sourcing requests from site-based Procurement and provide a support role for site-based or regional Procurement as required. Ensure that Procurement operational targets and metrics on customer service are delivered. Track and monitor these metrics where required. University degree, with business related degree preferable. Business level fluency in English and German - necessary condition. 3+ years operational procurement experience with experience in basic contracting, eSourcing and spot buying. Experience or demonstrated understanding in supporting cost reduction and value improvement programs. Good communication skills and demonstrated understanding of translating business requirements into procurement specifications with customer service in mind. Knowledgeable in systems and processes for efficient management of contract documentation, templates and processing tools (e.g. eSourcing, eAuction). Professional purchasing (e.g. CIPS, ISM) or Finance related licenses or certifications is desired. Experience with enterprise systems and procure to-pay tools and eSourcing tools is desired. Competence or fluency in other sub-region languages is strongly encouraged.